Since I started my blog in January 2015, I’ve spent a lot of time researching the best tools available to help me work as efficiently as possible on my blogging tasks. The tools listed below are all things that have helped me grow my blog and allow me to make steady income from blogging while also being a stay-at-home Mom to a toddler and baby. 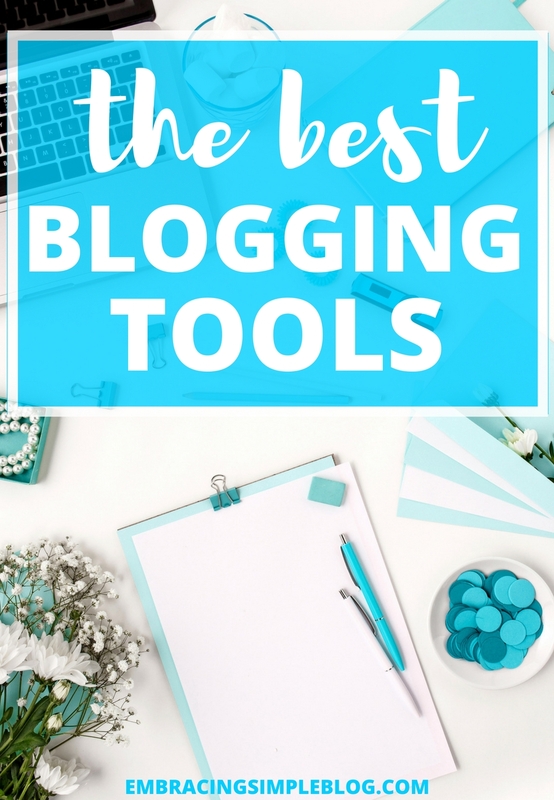 I hope you’ll find these valuable tools to be helpful in running your own blog too! If you haven’t started your blog yet but are looking for a step-by-step game plan, be sure to check out my how to start a blog tutorial. I also used to share monthly blog income reports, so if you want to see the beginning of my journey when I first started making money from blogging, you can find my blog income reports here. I’ve used Go Daddy to host my blog since the beginning (so well over 2 years now) and have been a super happy customer. Whenever I’ve had any questions or needed assistance with something, they’ve always been very helpful and quick to respond. In addition to being awesome people to work with, they also are extremely affordable compared to other hosting services. They have hosting plans that start at $1/month and that includes a free domain, which is pretty incredible! If you’d like to setup your blog using GoDaddy, check out my how to start a blog tutorial where I share screenshots I took that walk you step-by-step through the entire process. Once you create your blog, the fun part is choosing a design for it! There are some free themes on WordPress that you can certainly use, but I personally didn’t like what was available for the look I had in mind for my own blog. 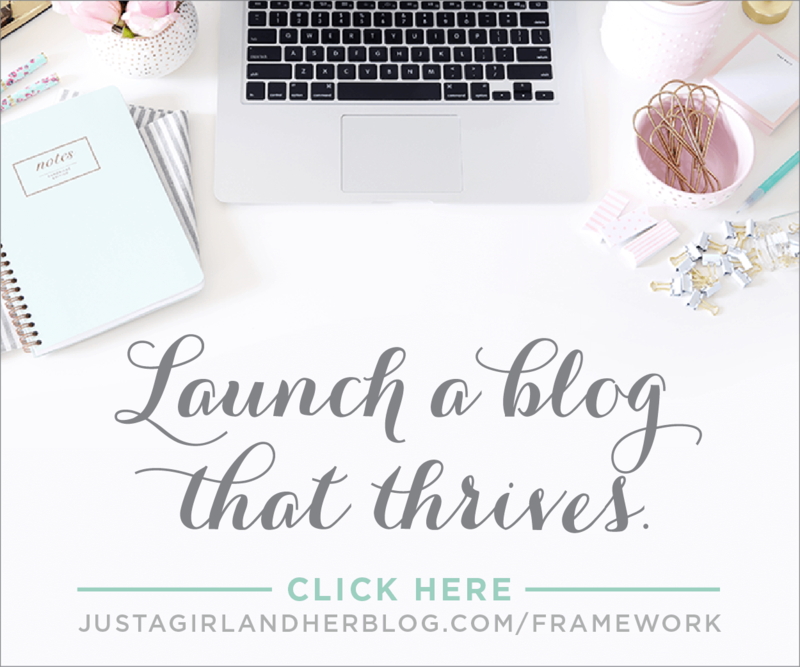 I did some extensive research and choose to purchase the Genesis framework (which is highly recommended in the blogging world) and the Swank theme. A framework is essentially a “super theme”, and then you can purchase a “child theme” that sits on top of that framework to get the design and layout you desire for your blog. So Genesis is my “super theme” and then Swank is my “child theme”. It sounds a lot more complicated than it really is, but there are also plenty of other themes you can choose from within the Genesis framework. The one other thing I would recommend you do is visit the beforeitsnews blog. It will give you insight into what content you can publish on your blog, and how to make it work, whether it is a news blog or a humour blog, there will be something to suit you. After choosing my theme I needed to find a web designer (just like Nashville website design) to help me put all my ideas into a website and get the show on the road. The company I worked with got everything up and running for me, I didn’t need to teach myself a thing about coding or anything! I cannot recommend them enough. I can’t sing the praises of ConvertKit enough. I made the switch from MailChimp to Convertkit back in January 2016 and my only regret was that I didn’t do it sooner. ConvertKit has allowed me the opportunity to grow my email list to 10,000+ subscribers in a very organic way. I have a marketing background and have experience with using most of the popular email marketing companies out there and have found that ConvertKit is definitely the best for what bloggers need to use it for. It’s super user-friendly and pretty inexpensive considering all of the capabilities it offers. 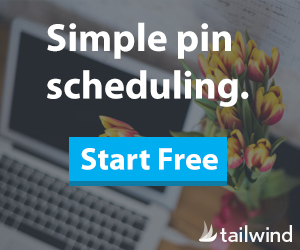 Tailwind is by far my favorite of the Pinterest scheduling tools out there (I’ve also tried BoardBooster and ViralTag in the past). Back before I invested in Tailwind, I was spending hours each week pinning my blog post pins to various group boards on Pinterest. Not the most efficient, to say the least! Now I only spend 10-20 minutes each week scheduling pins thanks to Tailwind. It makes marketing my blog so much easier and is my all-time favorite blogging tool! Canva is my current favorite program to create images for my blog. The version I use is free and I love that I can save images so I can come back and edit them later on, or even duplicate them to create templates to use for my blog posts so I can spend less time overall on image creation. I think it’s super fun to use too! Asana – I use this free program to keep track of all of my blogging-related tasks. It’s basically my brain for blogging where I dump all of my to-dos, and the list maker in me adores it! It helps to keep all of my thoughts and projects in order. Trello – I use this free program for the sole purpose of storing all of my ideas for new blog posts. I love that I can easily organize different topics by category and keep track of everything in a more streamlined way. Building a Framework: The Ultimate Blogging Handbook – Framework is a wonderful resource to help you grow your blog, learn things like how to set up technical elements, how to start and grow your social media channels, how to drive more traffic to your site, work with brands, grow an email list, and so much more!